Coach Standard enters his 18th year as Head Football Coach and 34th year overall in education and coaching. He has the second best record at St. Pius X behind legendary Coach George B. Maloof with a career record of 149-62. In 2017 the Golden Lions started 0-5, but rebounded to win 8 straight capturing the Region 8-AAAA championship on their way to a State AAAA Semi-Finalist and a 8-6 finish. 2016 saw the Golden Lions suffer their first non-winning season since Standard arrived. The 2015 team finished 10-3 and a Quarter-Final appearance and a #7 final ranking. The 2014 team finished as the AAAA State-Finalist and ranked #2. The 2013 team finished 9-4 and a Quarter-Final appearance and a #7 final ranking. The 2012 team finished as the AAA State-Finalist and ranked #2. The 2011 team finished with a 12-1 record and a final ranking of #8 in Class AAA. The 2010 team finished with a 9-3 record and a 2nd round trip to the State Playoffs. The 2009 team finished with a 12-1 record and a seventh trip to the AAA State Playoffs and a Quarter-Final appearance losing to eventual State Champion in overtime. The 2008 team finished the season with a 9-2 record and a sixth appearance in the AAA State Playoffs, the 2007 team finished with an 8-4 record and a fifth trip to the AAAA State Playoffs, the 2006 team finished with the best record in 38 years with a 11-3 record and a trip to the Georgia Dome for the State Semi-Finals, the Golden Lions finished with a #4 state ranking. In 2005 team finished 5-5 and for only the 2nd time in the past seven years did not advance to the State Playoffs. His 2004 squad posted an 8-3 record and a third straight appearance in the state playoffs. His 2003 squad posted a 10-3 record and a trip to the State Quarter Finals-the best record in the past 35 years. That season was highlighted by a 20-17 victory over Marist which broke a 21 year drought in this great rivalry. The 2003 Golden Lions finished with a final state ranking of 7th in class AAAA. His 2002 squad posted a 7-4 record, advancing to the State Playoffs. Under Coach Standard the Golden Lions have won Region Championships, a 23-15 playoff record with 9 Quarter-Final finishes, 4 Semi-Finals, and 2 State Championship appearances. Coach Standard played for the legendary Coach George B. Maloof. A 1984 graduate of The Citadel, The Military College of South Carolina with a B.S. in Business Administration, Coach Standard teaches economics and physical education at St. Pius. He coached at Loganville for a year (1985 Defensive/Offensive Line), Meadowcreek for five years (1986-1990 Offensive/Defensive Line) and ten years at Dacula (1991-2000 Offensive Coordinator/Offensive Backs) under Coach Kevin Maloof (SPX ‘75). At Dacula, the teams were the Region Champions in 1993, 1994, 1996 and 1999 (co-champs) and in 1993, 1994, 1996 and 1999, they were State Quarter Finalists. Coach Standard was named Region Coach of the Year in 2009, 2001, 2012, and 2014, Dekalb County Coaches Association Coach of the Year 2006 and 2014. He was named Assistant Coach of the Year in 1993, 1994, 1996 and 1999. He is married to the former Cindy Renee Harper. Cindy is has a doctorate in occupational therapy and works for Gwinnett County Schools. They have four children: Paul III (P.G.) (SPX ’09) (LaGrange College ‘13 BA History, The Citadel ’17 MS in secondary education), a 2nd year coach here at St. Pius X teaching Social Studies and PE, Elizabeth (SPX ’10) (Georgia Southern University ‘14 BA History) (Georgia State ‘15 MS in secondary education), a Social Studies teacher at Norcross High, Mary Kate (SPX ’12), (Georgia Southern University ’16 BS Health Sciences, Augusta State University ’18 MS in Occupational Therapy School, and Margaret May 14 a freshman at St. Pius X. Coach Garrison begins his 19th year as the offensive line coach for the Golden Lions. This will also mark his 28thyear coaching high school athletics. He begins his sixteenth year as the Physical Education Department Chair and ninth as an Assistant Athletic Director at St. Pius X. He is also looking forward to another successful year as the Head Baseball coach for the Golden Lions. Coach Garrison also served as the Head Track & Field coach at St. Pius X from 2006 – 2011. During those six seasons his teams won a Boys and Girls State Championship in 2006, had two State Runner-up finishes and won multiple Region Championships. Coach Garrison was named the Track & Field Coach of the year by the Atlanta Track Club and the Atlanta Journal Constitution. He has also been named the GHSA Assistant Coach of the Year in multiple sports over the last twenty seven years. A graduate of North Georgia College, his previous stops include Campbell High School and The Lovett School. He and his wife of 30 years, Barbara have three children; Kelci, 28 (SPX 2009), the Head Basketball Cheerleading coach; Mackenzie, 24 (SPX 2013), and Brennan, 21 (SPX 2016), a junior at Georgia Southern. Coach Todd Stewart begins his 9th year at St. Pius X. Coach Stewart graduated from Parkview High school where he participated in football, basketball, and track and was an All-State linebacker on two State Football Championship teams. Following high school, he earned his B.S. Ed degree at Kennesaw State University and his M.S. Ed degree from Valdosta State. He is entering his second year as Defensive Coordinator and will coach Linebackers. Coach Stewart is also the college football recruiting coordinator and acts as an academic mentor for the football program. He teaches in the Study Support program at St. Pius X and won the Excellence in Teaching Award in May of 2016. He's engaged to be married next March to Kelli Terracino. Coach Kananda returns for his second year at St. Pius X and will be working with the cornerbacks and Special Teams. He has served similar roles at his Alma matter, Lakeside High School, and most recently, at Decatur High school. He currently works as a research scientist at the Center for Disease Control and prevention. Coach Standard (SPX '09) begins his second year with the Golden Lions. Coach Standard will work with the Varsity in 2018 with the running backs. Coach Standard went to LaGrange College as a student-athlete where he played safety for the Panther football team and received his Bachelor's in History. He then attended The Citadel's graduate program where he earned a Master's in secondary education as well as worked for their football program as a graduate assistant. Coach Standard is a part of the Social Studies and P.E. department where he teaches U.S. History as well as Health and Wellness. He also is an assistant for the baseball program. Coach Anderson is entering his 13th year of coaching high school football and his third year of coaching at St Pius X. Prior to coming to St Pius X Coach Anderson spent time in Cobb County and Athens-Clarke County coaching and teaching. He has spent the last 10 years prior to Pius coaching offensive line and as an Offensive Coordinator. Besides coaching football coach Anderson also serves as the Head Girls Lacrosse Coach and teaches in the Social Studies department at St Pius X. Coach Michael Hatter is entering his tenth year of coaching at St. Pius X. Coach Hatter will be entering his sixth season as the defensive line coach. Previously he coached for the St. Pius X Middle School team from 2009 thru 2012 where he coached both the offensive and defensive lines. Michael is a graduate of St. Pius X, Class of 2004 where he lettered in both wrestling and football. Michael is a graduate of Auburn University, with a Bachelor’s Degree in Criminology. While at Auburn University, Michael was a walk on for the Auburn Tigers football team. He played left guard on the offensive line from 2005-2007. Michael works for the Sports Rehabilitation Center in Dunwoody. Michael lives in Johns Creek with his wife Beth and two dogs. 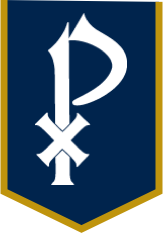 Coach Brigham will be entering his 1st year coaching on the St. Pius X varsity staff as the Tight Ends Coach. He graduated from Georgia Tech in 2016 after playing there as a scholarship athlete since transferring to Tech after his freshman year at Maryland. He played Offensive Line and received a Bachelor’s degree in Business Finance as well as a double minor in History and International Affairs. He finished his classwork this summer to obtain his Masters in Teaching for Social Studies from Mercer and has one year of student teaching remaining for degree completion. A native of Brookhaven, Georgia, he will be completing his year of student teaching at Dunwoody High School. Coach Conner starts his 21st year of coaching high school football. Coach Conner is excited to return to St Pius X to coach Wide Receivers. Coach Conner teaches Physical Education at Wilson Creek Elementary School in Fulton County. Prior to St. Pius X, he coached at several Fulton County Schools including Riverwood High School where he was the Offensive Coordinator from 2011-2013. Coach Conner and his wife of 26 years, Laura have three children; Molly(20) attends Kennesaw State University, Emily(18) starts her Freshman year at Georgia State University, and Christian(14) who will also be a Freshman at Lambert High School in Forsyth County. Coach Liccardo begins his first year with the Golden Lions after spending the last nine at Buford High School. A graduate of California University of Pennsylvania, he has also coached at the University of West Georgia, the University of North Georgia and Elite Sports Medicine & Physical Therapy. Away from the weight room Coach Liccardo enjoys golf, reading and spending time with his wife Katie and two children, Landon & Haley. Alison (Bruckert) Wright– Coach Wright is in her eleventh year as Head Cheerleading Coach at SPX. Having coached Varsity Football, Competition, and Basketball in the past, she currently serves as the Head of the Football Cheerleading program. She was named DeKalb County Coach of the Year in 2011. A 2001 SPX alum, Coach Wright was also a member of the cheerleading program when she attended high school. Mrs. Wright currently teaches AP Psychology and Sociology in the Social Studies Department and travels with the Campus Ministry Department on many international and domestic mission trips. Coach Wright attended Vanderbilt University for B.S. degrees in K-8 Education and Child Developmental Studies. She continued her schooling at The University of Georgia, where she obtained her M.Ed. in Social Science Education and Gifted Education, followed by attaining her Educational Specialist degree in Educational Leadership from Kennesaw State University. In 2016, she married another SPX alum, Richard Wright ('99), and the two reside in Brookhaven with their furry child, Hershey. Coach Sarah Morgan begins her second year coaching the JV squad for the St. Pius Cheerleading Program. She has previously helped coach 8th Grade cheerleading. A 2011 St. Pius alum, she was a five-year member of the cheerleading program, serving as a captain for her Eighth Grade, Freshman, and Varsity squads. Coach Morgan was a competitive dancer for 18 years and a part of the dance department at St. Pius. Grateful for her amazing cheerleading experience in high school, Coach Morgan is so excited to be contributing to the cheerleading program! Outside of cheerleading, Coach Morgan teaches at Christ the King School. She graduated from the Auburn University in 2014 with a Bachelor of Science in Elementary Education. This is Coach Baer's first year coaching for the freshman football cheerleading squad. As a 2011 St. Pius alum, she was involved in the cheerleading program for four years in addition to participating in the dance program and student council. She graduated from The University of Alabama with a bachelor's degree in elementary education and is currently teaching fourth grade at Christ the King School. Coach Baer is excited to be back at St. Pius helping with the fantastic cheerleading program. Coach Schmitt, a certified athletic trainer, is in his 16th year as the St. Pius X Athletic Trainer. Before coming to St. Pius X, Gary worked with world renowned orthopedic surgeon James Andrews in Birmingham, Alabama. He has also worked preseason camps with the Atlanta Falcons. Originally from Wisconsin, Coach Schmitt earned his Bachelor’s degree from the University of Wisconsin Oshkosh and then moved south to earn his Master’s degree at Eastern Kentucky University. He currently works as the medical observer for the ACC and covers all home Georgia Tech football games. He is married to Sara Geiger Schmitt. Sara is a math teacher and is the head girls soccer coach at St. Pius X Catholic High School. Coach Walker returns for her fourth year with the Golden Lions athletic program. Coach Walker is an athletic trainer with Children’s Healthcare of Atlanta, and previously worked with the Atlanta Dream of the WNBA. She earned her BS in Athletic Training from Valdosta State University and MS in Sports Medicine from Georgia State University. Mr. Heath is a proud father of two St. Pius X graduates, Hillary '09 and Abbie '12. He got involved with the football team when his daughter Abbie became a student athletic trainer. His passion for Golden Lions football and the St. Pius X community leaves his wife of 30 years, Gretchen, home alone most Friday nights. If you see her, tell her thank you. This will be his 11th year working with the football team and the sports medicine staff. Griffin Loflin, a 2016 graduate of St. Pius X and a four-year member of the football team under Coach Paul Standard. He is currently attending the University of Alabama in their Athletic Training Program and has worked with Alabama Cross Country, Swimming and Diving, Alabama football. Coach Loflin has worked as an assistant athletic trainer alongside his mentor Gary Schmitt for the past two summers. Griffin plans to graduate in 2020 from The University of Alabama with his Bachelor’s degree in athletic training. Dr. Mautner serves as the Golden Lions team doctor. He has been on staff at Emory Sports Medicine since 2004. He completed his Fellowship in Primary Care Sports Medicine at the American Sports Medicine Institute in Birmingham, Alabama. Dr. Mautner majored in biology and psychology at Washington University in St. Louis, MO,and received his medical degree from Tulane University School of Medicine in New Orleans, LA. He took a residency in Physical Medicine and Rehabilitation at Emory University School of Medicine, before completing his Fellowship in Sports Medicine. He is active in professional organizations, including the American Medical Society for Sports Medicine, American Academy of Physical Medicine and Rehabilitation,American College of Sports Medicine, and North American Spine Society. He currently serves as head team physician for Agnes Scott College and Emory University Athletics. He is also a consulting physician for Georgia Tech Athletics, Neuro Tour, the Atlanta Ballet, and several local high schools. Dr. Mautner has several areas of clinicinterests ranging from diagnostic ultrasound evaluations, regenerative injections, sports concussions, as well as sports hernias and spine pain in athletes. Fr. Rey Pineda was born in Guerrero in Mexico on September 14, 1988. His family emigrated to Los Angeles in 1990. In 1995 his father relocated the family to Atlanta at the height of the growth in preparation for the 1996 Olympic Games. As a teenager, Fr. Rey felt drawn to the priesthood as he served mass at St. Patrick’s parish in Norcross. With the support of the Archdiocese of Atlanta, he began his seminary studies in 2006 at Southern Catholic College in Dawsonville, GA. (Mr. Pudysz was my roommate for a time!) After graduating from Southern Catholic in 2010 with a degree in Philosophy, he continued his formation and discernment at Mundelein Seminary in Mundelein, Illinois. He was ordained a Transitional Deacon on May 25, 2013. In May of 2014 he graduated from Mundelein Seminary with a Masters in Divinity (M.Div) and was Ordained a priest for the Archdiocese of Atlanta on June 28. His first assignment was as a Parochial Vicar at St. Lawrence in Lawrenceville through June of 2016. He has since been serving as Parochial Vicar at the Cathedral of Christ the King in Atlanta. Fr. Rey is a big fan and supporter of Atlanta United. He also enjoys cooking and wants to appear on Food Network’s Chopped one day. Mr. Kelly (SPX ‘76) has been in the booth during home football games for 18 years; starting as a scoreboard operator, then assisting two previous announcers as a spotter. He was thrilled to be handed the microphone in the fall of 2003 and has loved every minute since. His love of Friday Night Lights is almost as strong as his love of St. Pius X. Mr Kelly and his wife, Trisha, have three children: Cason “Casey” (SPX ‘01), Dylan (SPX ‘04) and Emma (SPX ‘08). All three of their kids played multiple sports while attending SPX, and Mr. and Mrs. Kelly never missed a game! Mr. and Mrs. Kelly are the proud grandparents to Sophia, and hope to have her help him CALL IN THE LIONS one day. Mr. Florence is back for his ninth season in the press box at George B. Maloof Stadium. He, and his wife Kathy, are proud “ESPN’ers” (Empty St. Pius Nesters) of two grown daughters, Jill (SPX ‘08) and Jackie (SPX ‘10). Mr. Florence is a native Atlantan and a real estate agent for the Red Rabbit Team. Mr. Heath is a proud father of two St. Pius X graduates, Hillary ’09 and Abbie ‘12. He has been married to his wife Gretchen for 27 years. He got involved with the football team when his daughter Abbie became a student athletic trainer. His love for Golden Lion football and the St. Pius X community keeps him active even after his children have graduated. This will be his 7th year working with football team and sports medicine staff. Mr. Scheff is entering his 13th season of helping out with the statistics for the Golden Lions football program. In addition to working with St. Pius football, Mr. Scheff is the chief football statistician and basketball shot clock operator for Georgia Tech, his alma mater. He is employed as an airline consultant with Seabury Airline Planning Group and likes to unwind by riding his bicycle. Mr. Scheff and his wife, Maria, are parents of three St. Pius X graduates, Rick, Anthony and Veronika, as well as a younger son, Yegor. Meggan Wilcauskas begins her first year as the coordinator of ESPX, the student run broadcast program, and is in her fifth year serving as a librarian at St. Pius X. In college, Meggan represented her sorority in intramural flag football. After college, Meggan spent 8 seasons playing guard on a co-ed flag football for Atlanta Club Sports and received training as a referee. Her dreams of going professional were dashed when she found out she was pregnant with her first child. She received a BS in Chemistry from Emory University and spent four years as a chemist before entering the classroom to teach high school chemistry. She received a Masters in Instructional Technology from UGA and spent four years as an instructional technology specialist before coming to SPX to serve as a librarian.